Have Adult Supervision. 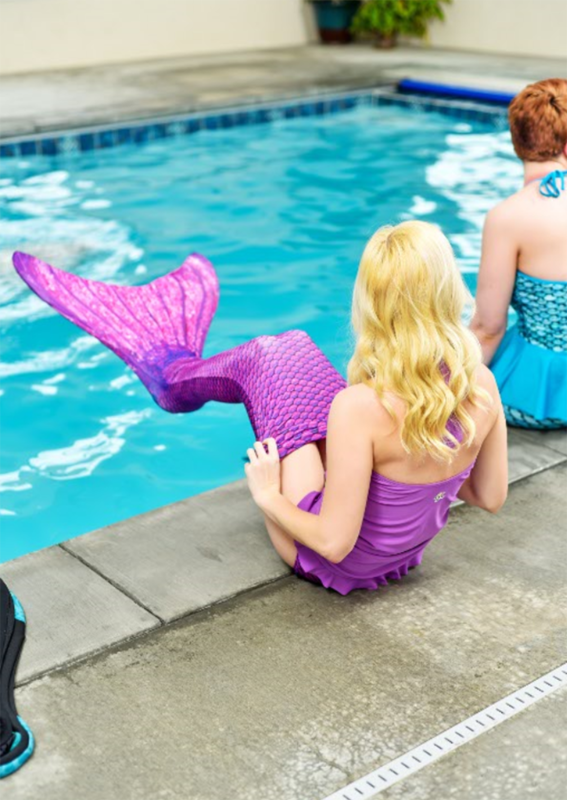 A parent or other adult human should always be watching nearby when kids wear their mermaid tails for swimming. They might resemble mermaids, but they’re still human children who need the supervision and protection of their parents. Be Mermaid Tail Ready! 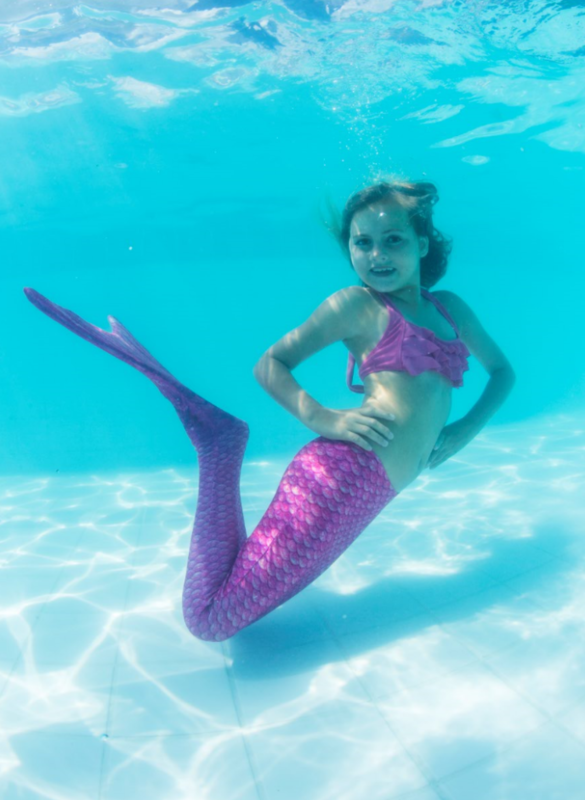 Watch our video to ensure you’re adept at the six essential skills needed to swim safely in your Fin Fun Mermaid Tail — including floating on your front and back and using the dolphin kick to swim 25 meters — before attempting to swim in your tail. Know Your Limit: Even though your mermaid tail transforms you into the mermaid you’ve always dreamed of being, you are still human. 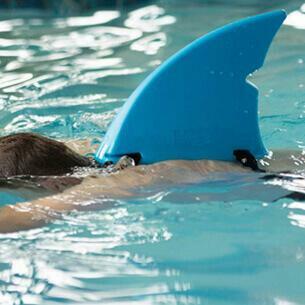 Your sleek, realistic-looking tail will not give you magical powers or suddenly make you a super swimmer. Know your limits, like how long you can hold your breath or how far you can swim—and stay within them. Remember to Breathe: The top half of your body is still human, even when the bottom half looks exactly like a mermaid. This means you cannot breathe under water! Don’t try to hold your breath too long or swim deeper or farther than your current abilities will allow. Whenever you need a breath, just roll onto your back to float and breathe normally. 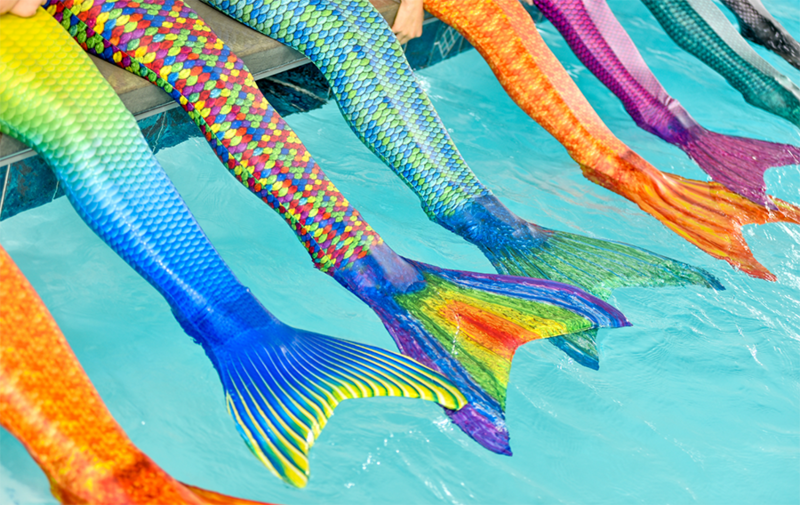 Get the Right Fit: Mermaids come in all shapes and sizes! Check out our mermaid tail size chart found on FinFunMermaid.com to help you select the best size for you. 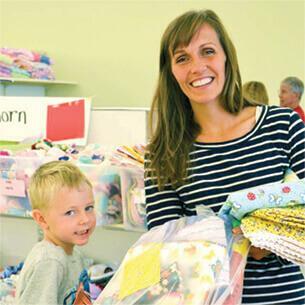 We also offer custom sizing so you can get the most perfect fit possible! Swimming in the wrong size can result in your tail ripping because it’s too tight, drooping because it’s too loose, or not performing effectively. 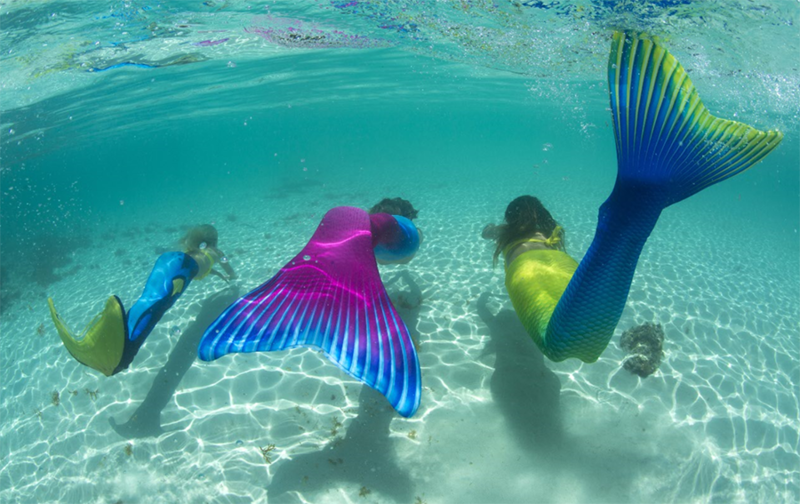 Down by the Water: We know how exciting it is to get a new mermaid tail! 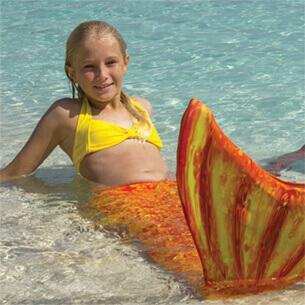 If you’re like most mermaids, you might want to put it on right away and showcase it all the way to the pool. But that’s not safe! 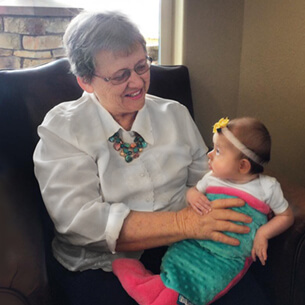 Our mermaid tails for kids and adults are designed to help you swim and have fun in the water, so don’t put your monofin on until you’re right at the edge of the pool or dock. Practice the Quick Release Method: If you ever have a problem in the water, you can get out of your mermaid tail quickly by using the kick-off method. Watch the video we’ve produced, then practice pulling one leg out first and kicking the tail off to swim with both legs free. Respect the Water: Just as mermaids still need to breathe, mermaids also need to respect the body of water they swim in. If weather or water conditions change, kick off your tail and get out of the water right away. Lightning, currents, and storms are all natural enemies of mermaids. 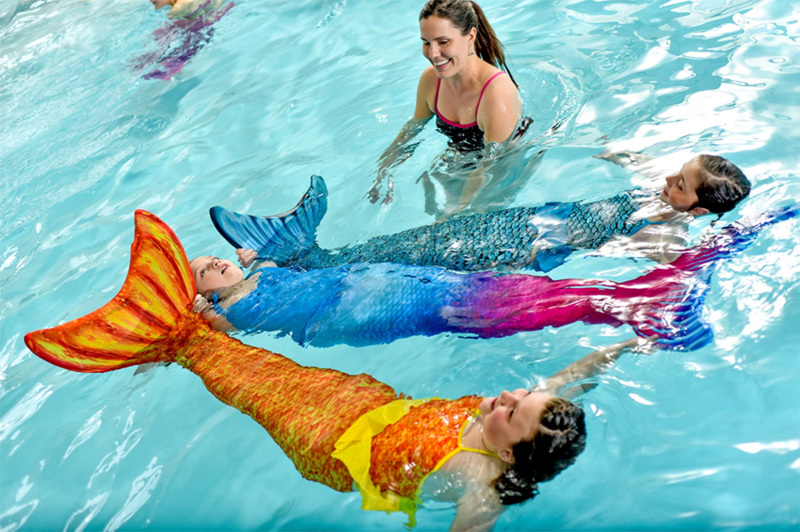 Swim Where Humans Swim: If you wouldn’t swim in the ocean, the deep end of the pool, or in murky water without your mermaid tail from Fin Fun, don’t swim there with your tail on, either! Be considerate: You may be able to swim a bit faster or further in your mermaid tail from Fin Fun, but you also have a big, beautiful flipper at the end of your body. It’s important to stay aware of others swimming near you so you don’t bump, splash or flip into them. Remember: Mermaids are considerate creatures! Treat your Mermaid Bod with Seaweed-Based Beauty Products!